New Delhi (India), Apr 11 (ANI): New posters of the debutant actors Ananya Pandey and Tara Sutaria from the latest flick 'Student of The Year 2' is out today. The poster showcases Ananya Pandey, Tara Sutaria and Tiger Shroff in their glam avatar from the film. 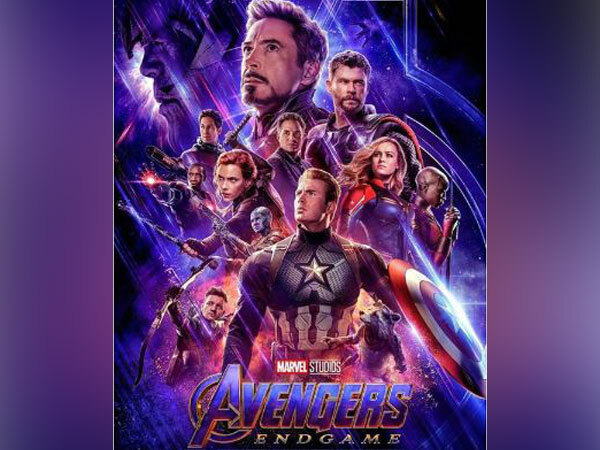 Washington D.C. [USA] Mar 15 (ANI): Marvel Studios dropped a new poster of the upcoming film ‘Avengers: Endgame’ after its previous poster irked fans owing to the omission of Danai Gurira’s name from the credits at the top of the poster. New Delhi [India], Feb 14 (ANI): The makers of Nawazuddin Siddiqui's upcoming film 'Photograph'have released a new poster and revealed the new release date for the film. New Delhi [India] Jan 6 (ANI): Calling for Congress' victory in the upcoming general election, posters of party president Rahul Gandhi and her sister Priyanka Vadra Gandhi have been put outside the party headquarters in New Delhi's Akbar Road late on Tuesday. New Delhi [India], Jan 21 (ANI): Ranveer Singh took to social media to unveil the new poster from his upcoming film 'Gully Boy'.